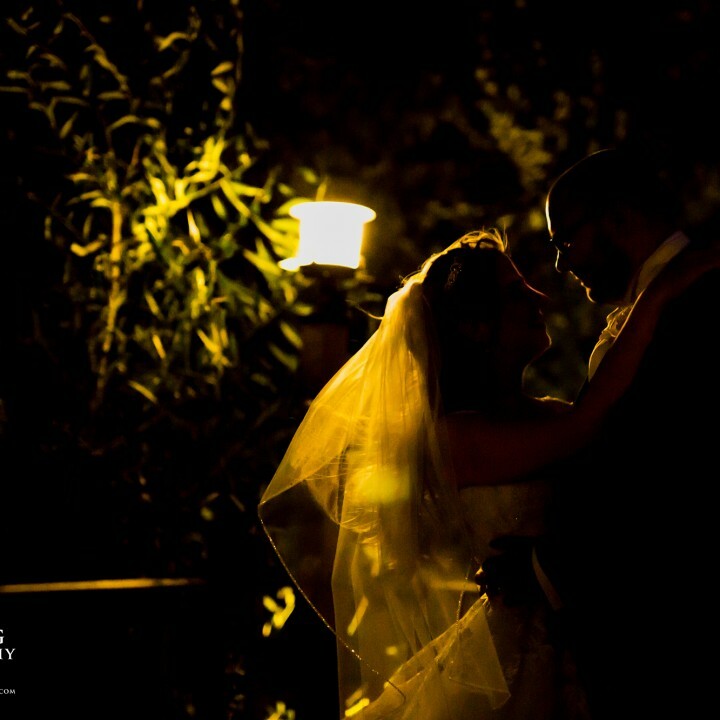 In September we were fortunate enough to be selected as hosts of the wedding blessing and reception for Tim and Amanda at Rosewood. 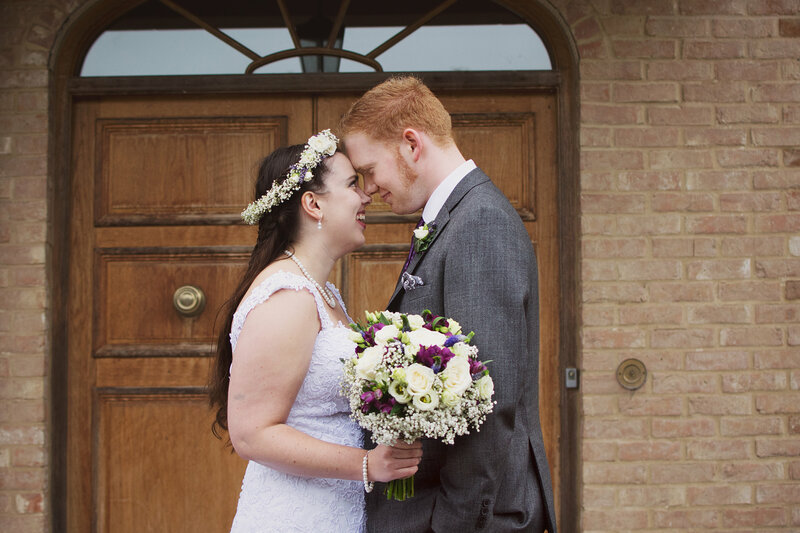 After moving from Canada to the UK, Amanda met Tim at a church picnic and their relationship quickly blossomed. 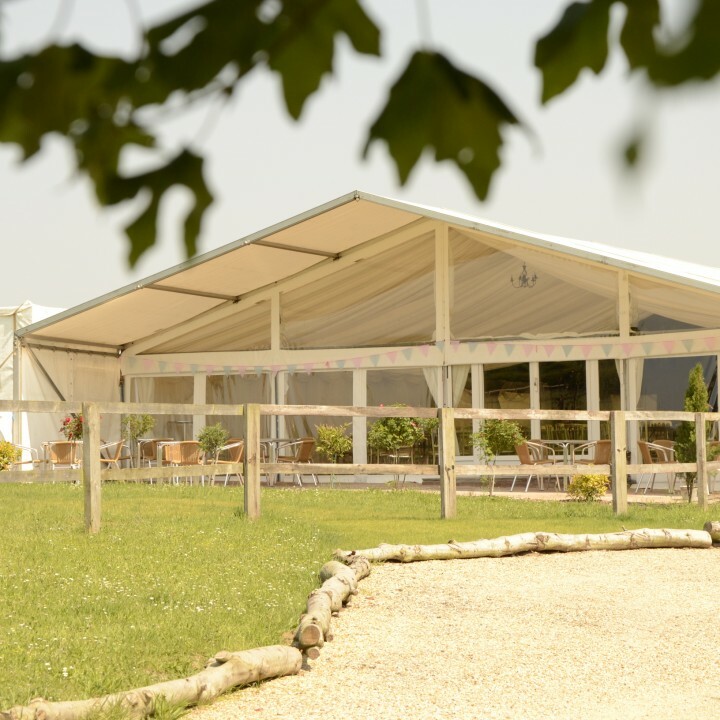 Following Tim’s proposal they set about organising two weddings, one either side of the Atlantic and Tim chose Rosewood Pavilion as the location for their UK celebrations. 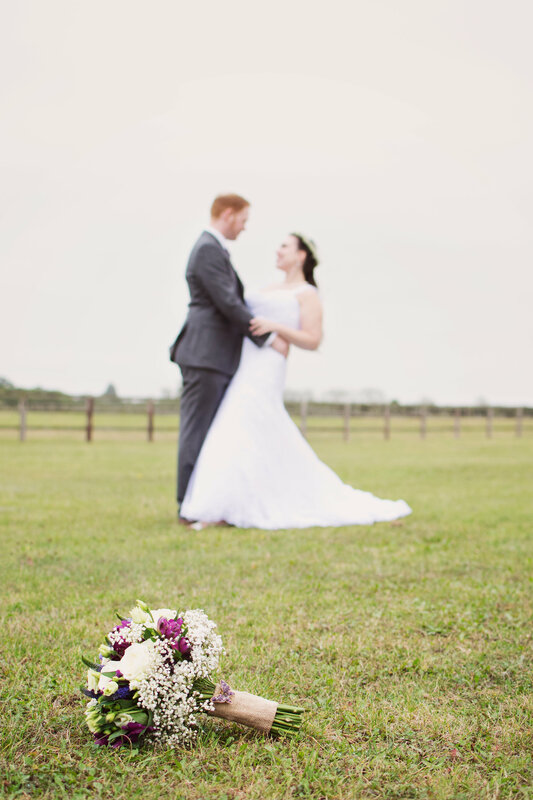 With Amanda living and working out of the country it was down to Tim and his sister in law Simone to create the day that they knew Amanda would love. With help from Rosewood along the way a day full of rural and rustic charm came together. Flowers were hand tied by bridesmaid Simone and tables were dressed with blooms in delicately filled hessian and lace wrapped jam jars. Small personal touches were added such as bunting hand made by another of the bridesmaid draped on their top table and wooden accessories crafted by family members. After their blessing in our wedding suite guests enjoyed Pimm’s and photographs as they did their best to avoid spells of light rain. Photographer Melanie did an excellent job of creating a variety of formal , informal and fun images. A two-course BBQ was provided by our in house catering team and formed an informal wedding breakfast which was followed with some wonderful and heartfelt speeches. In the evening Andy King and his band provided music to accompany their evening reception and guests made s’mores, toasting marshmallows over fire pits in our marquee paddock. With a buffet of handmade sausage rolls, cheese boards and rustic breads to end the evening a great time really was had by all. It was a fantastic day and we were all very fortunate to be a part of it. From the first few ideas to the day itself, Tim and Amanda managed to create the day they had envisioned and we were delighted that we could help them both. We really loved hosting Tim and Amanda’s day and wish them a wonderful future together in the U.K!